← Guest Post – San Francisco! I went last year and was excited to go again this year! 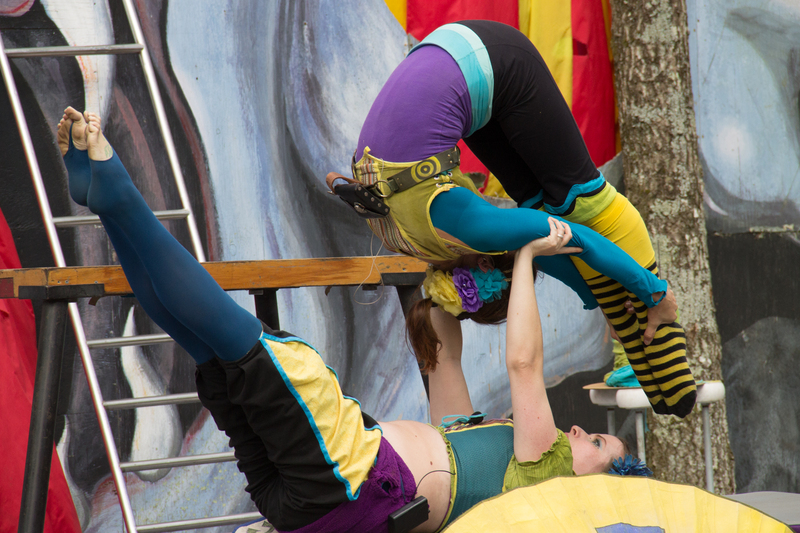 Last year, there was Acrobatrix; this year’s duo was the two-woman act of Topsy Turvy. Bendy and fun to watch! And the joust! 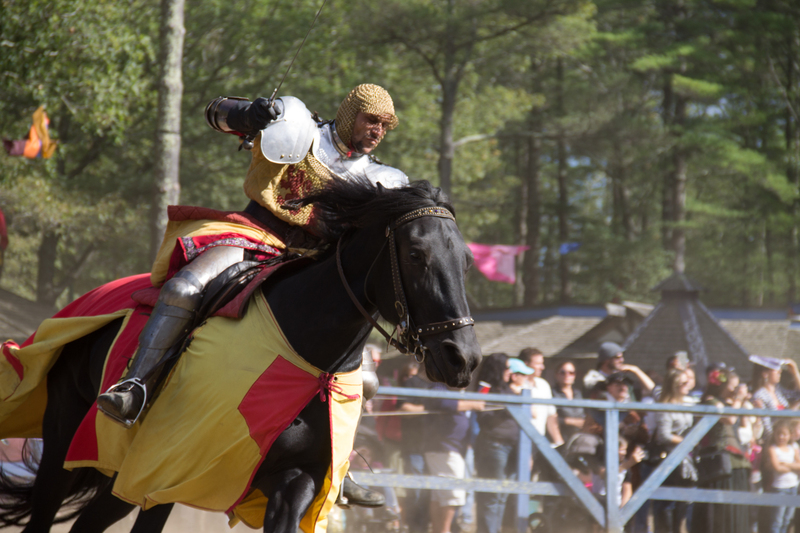 I love watching jousting, even if I annoy my friends by constantly commenting on the horses. 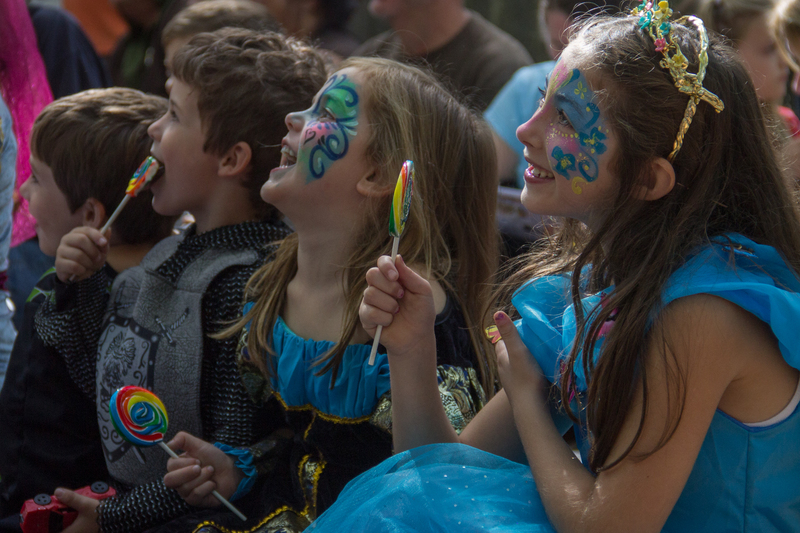 Children being charmed by the Wonder Magic Show. And..block juggling, which I didn’t know was a thing but now I have learned (and enjoyed!). This is Squire of the Wire. 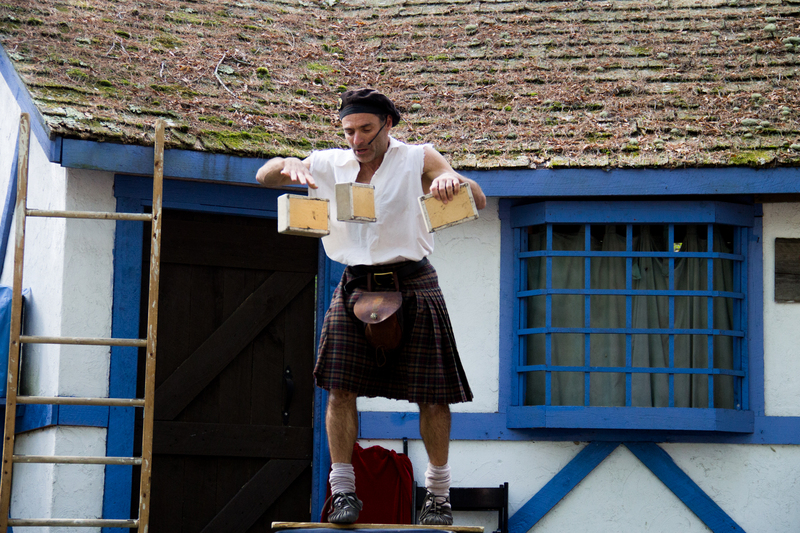 He eventually ended up walking a tightrope in flippers….that picture’s on my Facebook page, though. 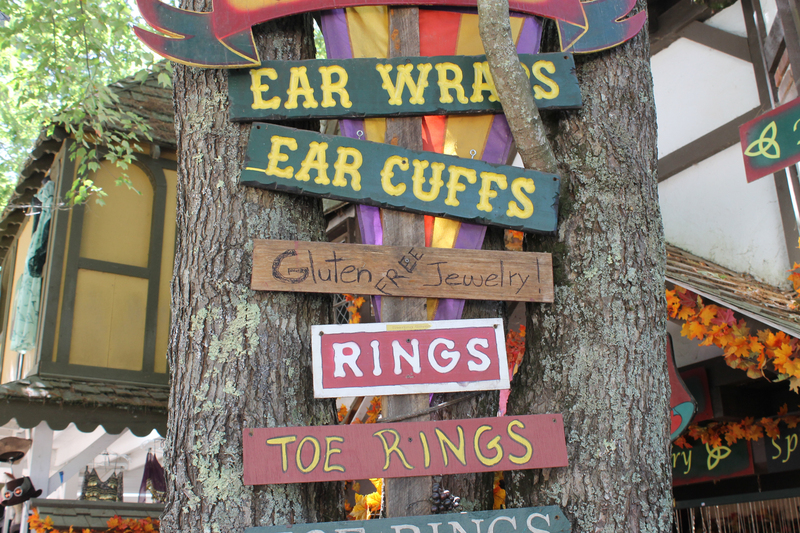 The sign that greeted us as we begin to browse the shops. Funnily enough, I have a wheat allergy and Ariel (who was with me that day) has Celiac’s – she burst out laughing and called me over when she saw this. And finally, my favorite act this year: Draiku, an aerial silks show. There is indeed a performer at the top of these silks – it was truly a lovely day, whether you were walking on the ground or flying through the sky. I can pretty much guarantee we’ll be back next year!